The quiet six-footer was the third of four sons of Major R.E.Findlay, a director of the firm of Messrs Findlay, Richardson & Co. Ltd., East India Merchants, of 34 West George Street, Glasgow. He was brought up at his parents home, Boturich Castle near Balloch, and had an outstanding lifetime of public and military service. Educated at St Ninian's at Moffat, Harrow and the Royal Military Academy, Woolwich, he became a regular soldier in the Corps of Royal Engineers and was commissioned in January 1910. He was in his early 20s when the First World War broke out. But he broke both legs early in the war, and it was not until 1917 that he saw action. He was awarded a Military Cross for gallantry at Passchendale, after which he took command of 409 (Lowland) Field Company, Royal Engineers, a territorial company, in June 1917. 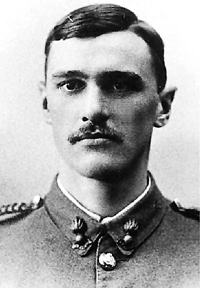 His distinguished service won the Military Cross and Bar, and two Mentions in Despatches, before the incident for which he won the Victoria Cross on November 4 1918 at the age of 29 — seven days before the Armistice was signed. A modest man, he was always very reluctant to describe the incident, which took place on the first day of the second battle of Sambre which was part of the final offensive of the war. But he did speak about it in an interview with the Helensburgh Advertiser in 1964. “I was acting Major commanding the 409 (Lowland) Company at the time. Many of the company were miners, and I have kept in touch with them ever since,” he said. His engineers built a bridge across the Sambre-Oise Canal near Catillon despite intense enemy opposition. The canal was the first barrier to be encountered by troops in the northern attack, and the British XIII and IX Corps reached the canal first. German guns quickly ranged the attackers and bodies piled up before the temporary bridges were properly emplaced under heavy fire. When the infantry tried to cross the bridge, they were driven back and their officers killed. The announcement of the award was published in the London Gazette on May 15 1919, and it was presented by King George V to then Captain (Acting Major) Findlay at Buckingham Palace on November 27 that year. The medal is now on display at the Royal Engineers Museum in Chatham. The citation reads: “For conspicuous bravery and devotion to duty during the forcing of the Sambre-Oise canal at the Lock, two miles from Catillon, on November 4 1918, when in charge of the bridging operations at this crossing. “Major Findlay was with the leading bridging and assaulting parties which came under heavy fire while trying to cross the dyke between the forming-up line and the Lock. The casualties were severe and the advance was stopped. “Nevertheless, under heavy and incessant fire, he collected what men he could and repaired the bridges, in spite of heavy casualties in officers and other ranks. 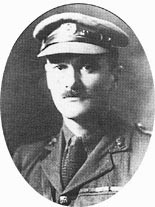 “Although wounded, Major Findlay continued his task and after two unsuccessful efforts, owing to his men being swept down, he eventually placed the bridge in position across the Lock, and was the first man across, subsequently remaining at this post of danger till further work was completed. After the war he continued his chosen career as a soldier until his retirement in 1939. But in only a few months the Second World War had begun, and he was called back as a temporary Colonel. In 1941 he retired again, but in 1943 he was called back for a further two years which included service in Italy. It is not known when he first moved to Drumfork House, probably around 1930, and the 1930 Helensburgh Directory shows his mother living with him. They moved to Helensburgh after the family home at Boturich, Loch Lomopnd, passed to another member of the family. In 1941 he was first elected to Dunbarton County Council to represent the Cardross and Craigendoran ward, and automatically he became a member of Helensburgh District Council. At various times he was a member of a number of county committees, but his 23 years of council service came to a sudden end in May 1964 when, hours before nominations for the elections closed, he decided not to stand again. In 1957 he was appointed a Deputy Lieutenant of the County. 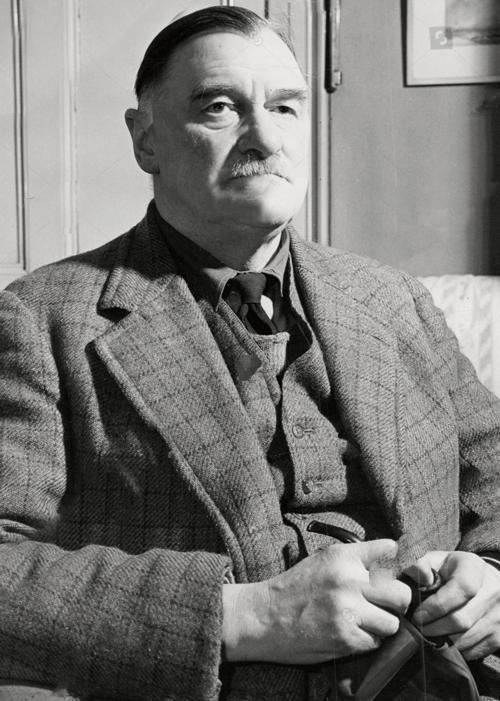 He was particularly identified with the British Legion, serving for a number of years as president of the Helensburgh branch before being appointed the branch’s Life President. In the Legion and outwith he had a particular interest in pensions, and he was a member of the county’s War Pensions Committee. He took a great interest in the Army Cadet Force in Dunbartonshire, and one of his last public appearances was with his wife at a Cardross AFC display. The Colonel wed late in life, his marriage to Constance Clark from Cardross, known to friends as Connie, in St Michael and All Angels Church taking place only eight years before his death. But her interests became his own, and he helped and supported her in her work as president of Cardross Old People’s Welfare Committee and Commandant of the Cardross Red Cross Detachment. He was a member of St Michael’s Church, but did not hold any offices in the church. His main recreation was angling, and he was a prominent member of the Loch Lomond Angling and Improvement Association. An excellent pianist, he enjoyed playing the piano for guests at Drumfork House. He is buried in the family plot at Kilmaronock Churchyard near Gartocharn. His medals are on display at the Royal Engineers Museum and Library in Gillingham, Medway.